Illustrator for Los Angeles based clothing brand, dRA Clothing. 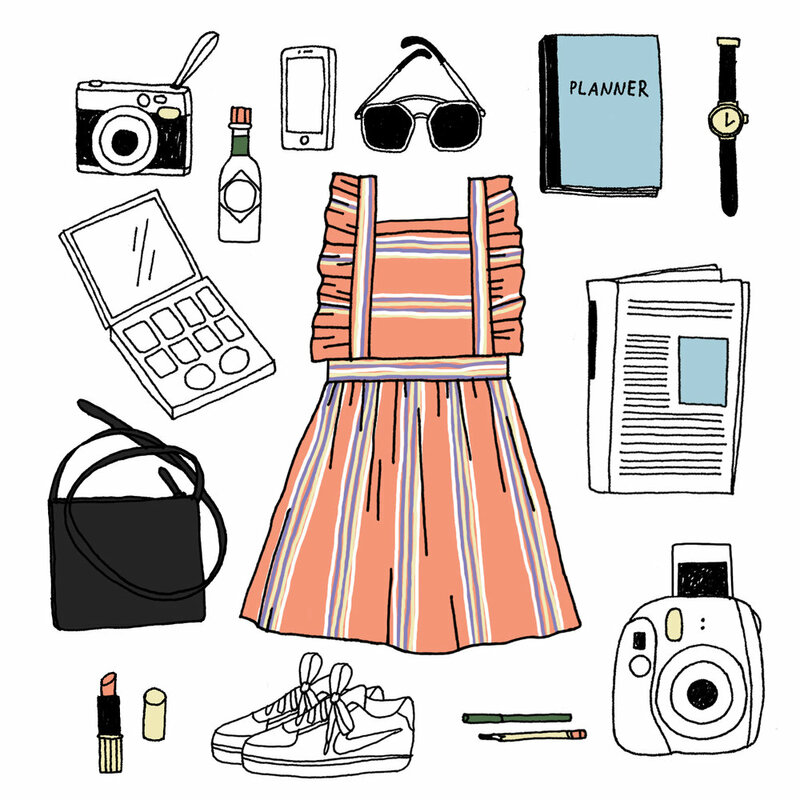 Work includes illustrations and hand-lettering, bringing an artistic and youthful presence through the brand's identity on their website and social. 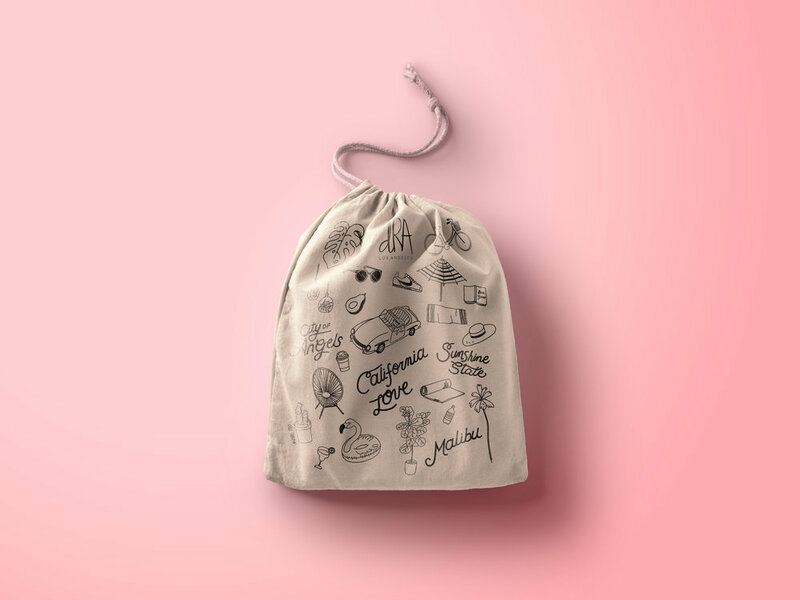 Designs for brand's packaging includes drawstring bag, tissue paper, and postcard.